Not long ago, a badly diseased or broken tooth would have been pulled. But today, teeth that are injured or have become infected can be saved with endodontic treatment — better known as a root canal. While it is always more cost effective to save a tooth rather than having it pulled, you may find the expense of a root canal more painful than your tooth — especially if you don’t have any type of dental insurance. The inner-most portion of your tooth and its roots is made up of nerves and blood vessels called dental pulp. When a tooth is subject to severe trauma or deep decay has allowed bacteria to enter the pulp area, the nerve of your tooth can become infected and begin to die. At this point, the tooth can only be saved by removing the diseased pulp tissue and replacing it with a rubber-like material that will seal the roots of the tooth. But even after the root canal treatment, you’ll still need a filling or crown to fully restore the tooth. A painful tooth should always be checked by a dentist. By determining the cause of your discomfort and treating the tooth early on, your dentist can help keep you from needing root canal treatment. But here are a few signs that root canal treatment may be necessary to save your tooth. Foul smelling drainage from the gum area around the tooth. The cost of a root canal can vary depending on the complexity of the condition and the number of roots on the tooth. A root canal done on a front tooth, with only one root, can range between $900 to $1100. Molar teeth usually have 2 to 3 roots, causing the cost to fluctuate between $1000 to $1300. And typically, the price of a root canal done by a specialist (endodontist) is 30% to 50% higher than when done by a general dentist. Also, keep in mind the fees for the filling or crown needed to complete the treatment of your tooth. These procedures can range from$90 to $300 for a filling to $500 to $1500 for a crown. Other related procedures such as emergency visits, consultations, and x-rays will also add to your total expenditure. Most traditional dental insurance plans provide coverage for root canal treatment. But considering the cost of a root canal, the filling or crown needed to restore your tooth, and other related procedures, it doesn’t take long to exceed your plan’s yearly-maximum payout — leaving you facing heft out-of-pocket expenses. 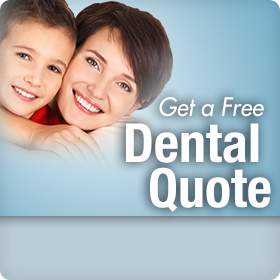 A dental discount plan is an option that can help save you money, whether you have dental insurance or not. When your root canal is done by a general dentist, who participates in the plan, your total cost can be reduced up to 50%, and if you see a participating specialist for treatment, you can expect up to 20% savings. Your dentist can definitely take the pain out of your tooth with a root canal, but you can take the pain out of the cost with a dental discount plan. Click on the link to the right to access significant savings for root canals and all dental procedures with a Confident® dental discount plan through Careington®.